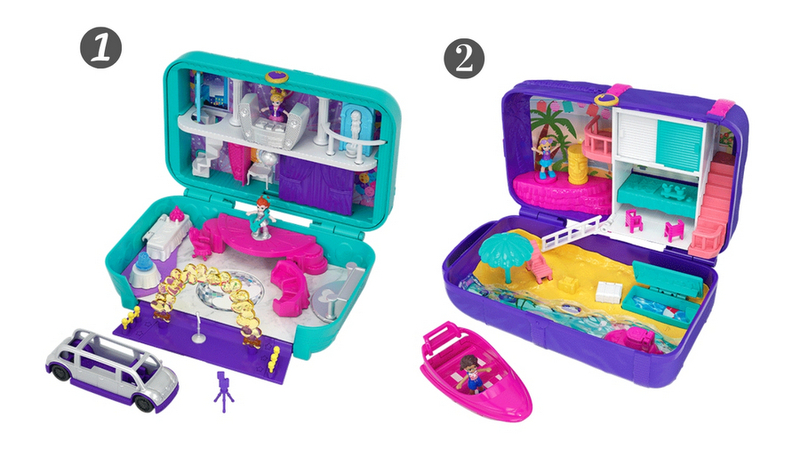 Do you remember Polly Pocket? The favourite 90s toy is BACK and set it hit Australian shelves this December, 30 years after the original launch. I have a thing for retro toys — check out these posts, 20 retro toys you can still buy, 10 toys I loved as a child, Sharing toys you loved with your kids, and Remember Sweet Secrets. 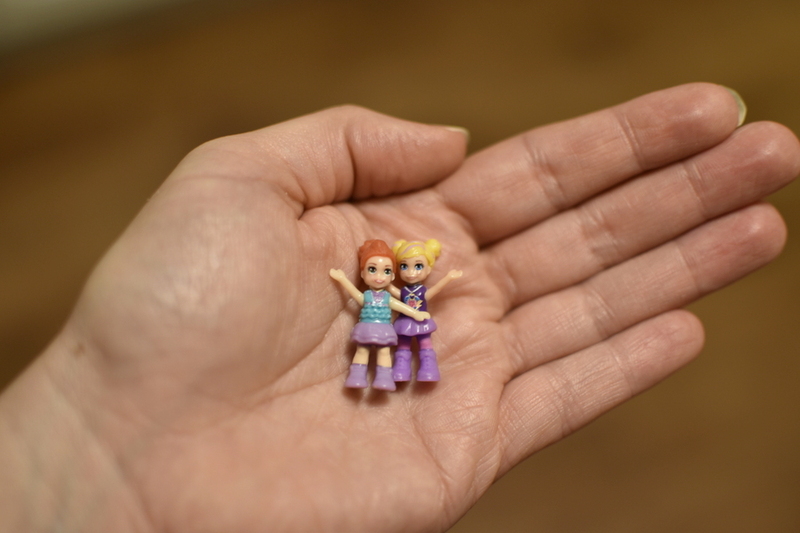 The first Polly Pocket toys appeared in stores in 1989. I was 10 at the time, and my older kids (now 15 and 17) played with them too. Back in the day, we had a heap of Polly Pocket cars and figures the children played with for a long time. 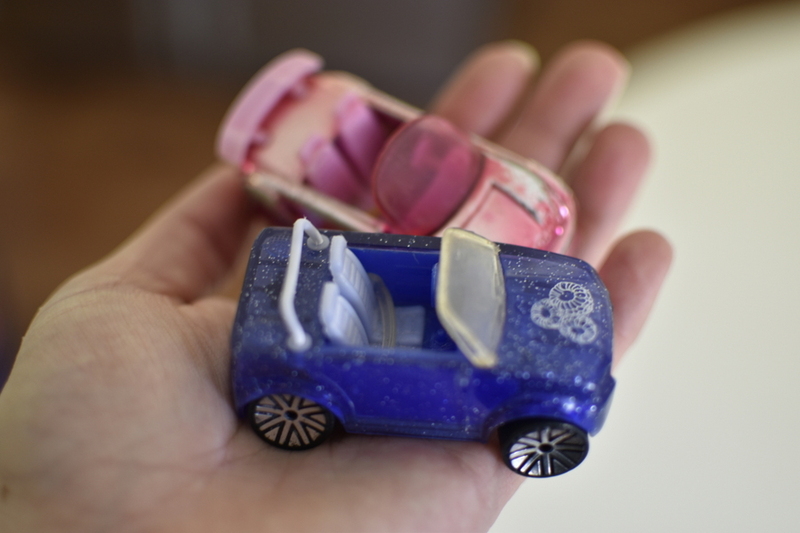 We still have these cute Polly Pocket cars in our toys stash, from a decade ago. With this new launch, there are four different ranges, including the Pocket Places, Hidden Hideouts, Pocket World & Hidden Places. Prices range from $8.99 to $39.99. 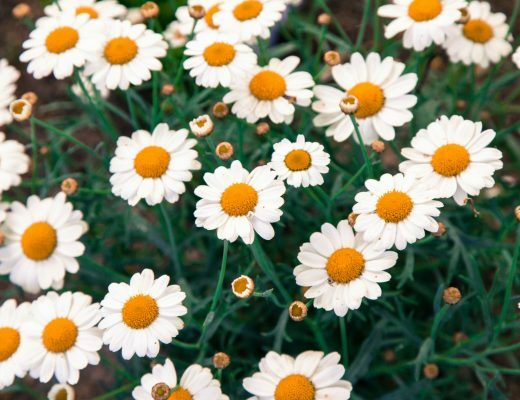 Products are still being rolled out in Australia, but you can expect to see a selection in store in major retailers like Myer and Kmart. Each compact Pocket Places opens to reveal a specific location, two additional secret reveals, three accessories and a micro figure. These are adorable and tiny. Each Pocket World opens to a specific theme, has a secret reveals, micro dolls and accessories. 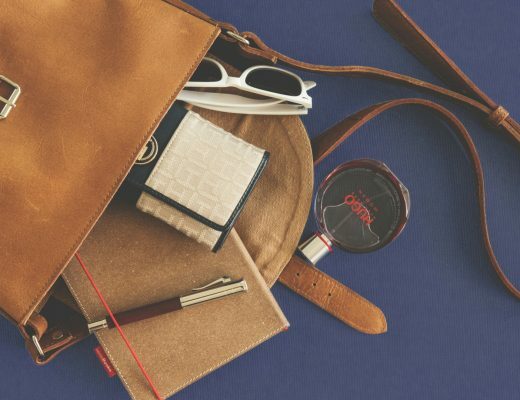 Each compact is small enough to take anywhere but a little larger than the Pocket Places. Each open to reveal a larger themed Polly world and are great to take on-the-go. 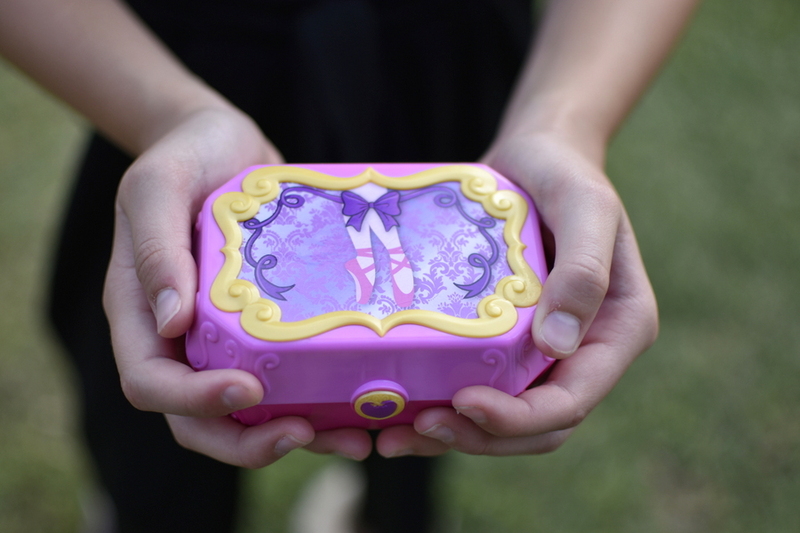 I received the Polly Pocket Tiny Twirlin’ Music Box to review (which is part of the Pocket World series). 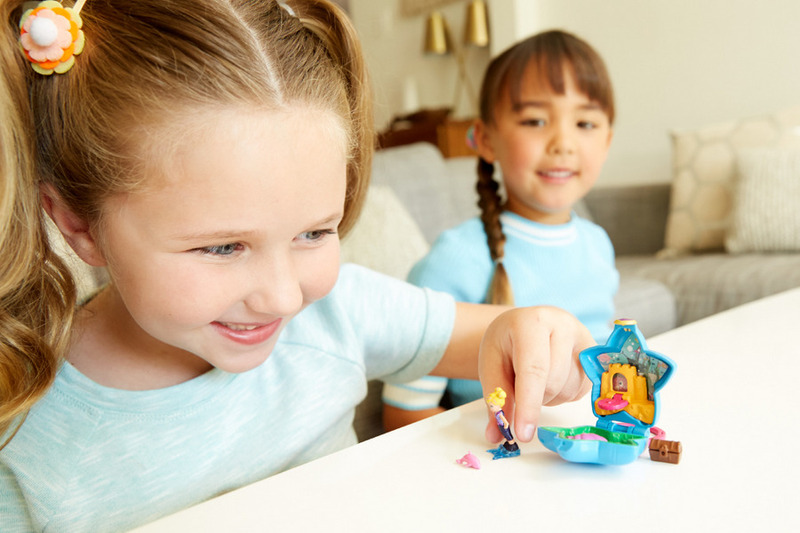 Shaped like a music box, the Pocket World Tiny Twirlin’ Music Box compact opens to a ballet-themed world with micro Polly and Lila dolls, along with a horse and carriage. It’s a great size for travel. This set comes with Polly and Lila. 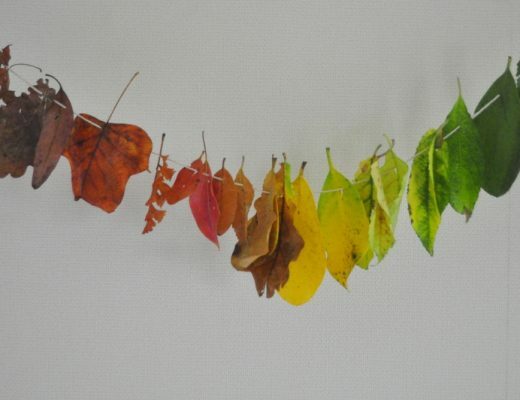 The dolls are gorgeously tiny, but they still have beautiful details. My daughter explains some of the features in this video below. 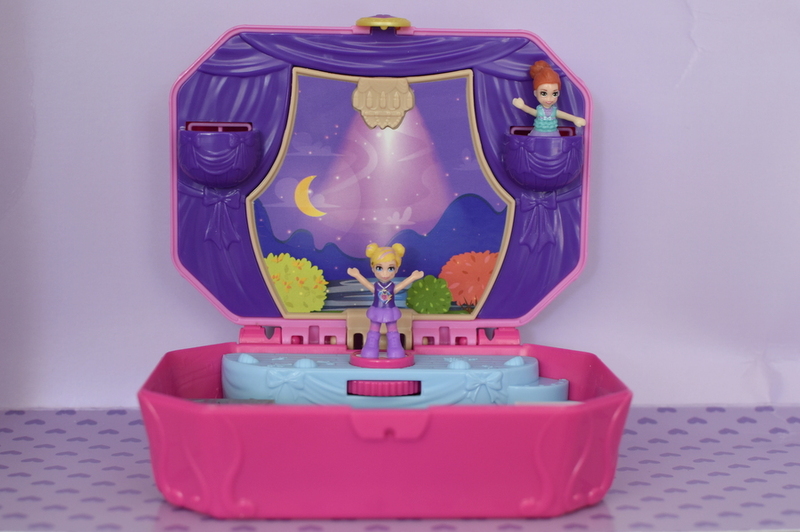 The music box opens out to a ballet stage, and Polly and Lila can dance on stage with the help of the spinning disk or watch from the stands. Kids can also play with the micro dolls in the space below stage, where there is a piano and other props. The back of the stage opens up to reveal a ballet studio equiped with ballet barre. 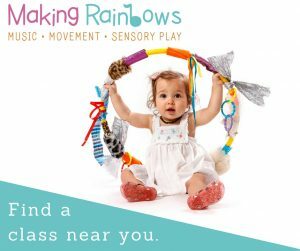 There are sweet features like the boom box for music and a cupboard which enhances play. 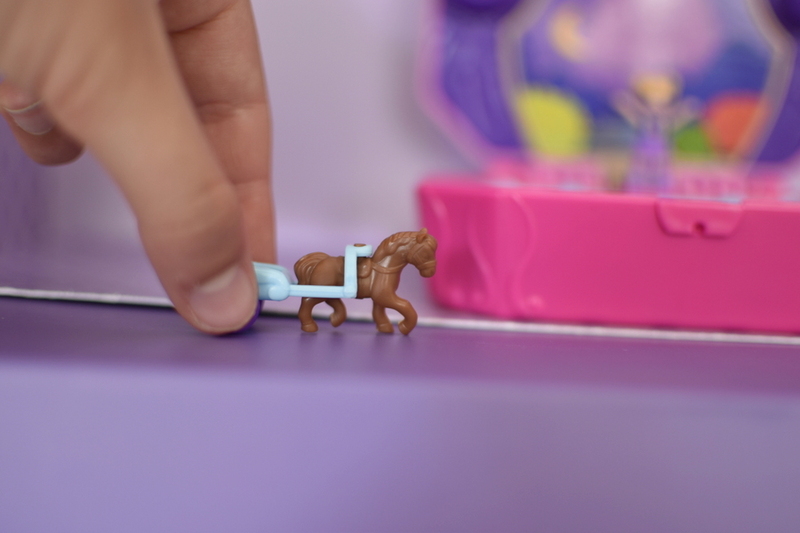 The horse and carriage is adorable too. 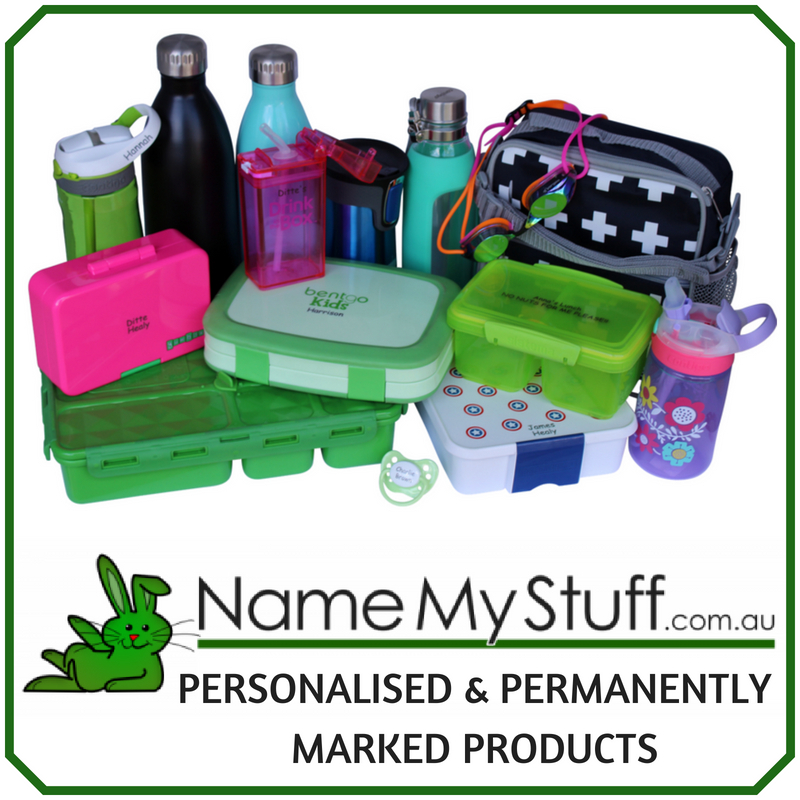 The products are still being dropped in stores, but you will start seeing them in major retailers like Kmart and Myer in the coming weeks.